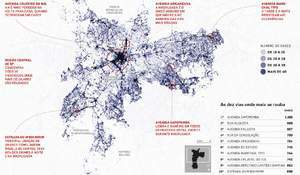 Cellphone robberies affects half the streets of São Paulo - "Roubos de celular atingem metade das ruas de São Paulo"
This map show all the cellphones robbery that occour in São Paulo between january 2016 until august 2017. 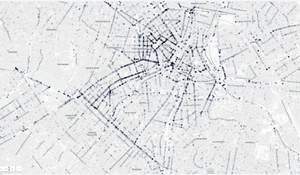 We used public data offered by State Hall of São Paulo. 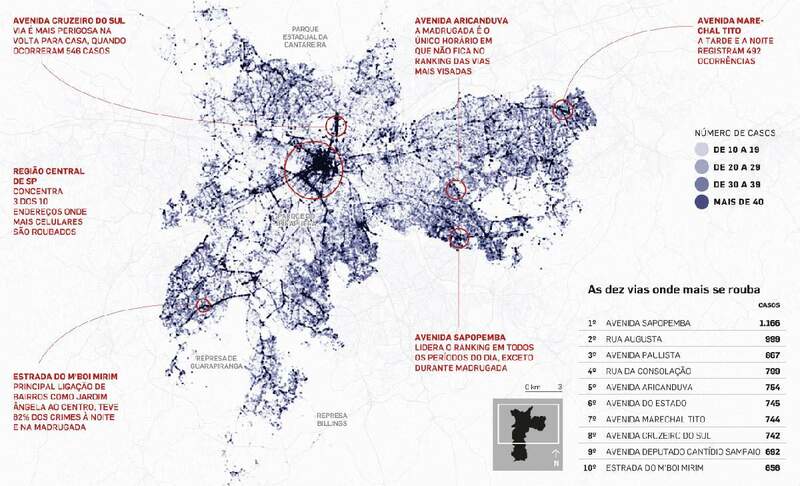 It was the first time that the newspaper O Estado de S. Paulo (second major newspaper in Brazil) put an infographic in its cover instead of a photo, since its foundation 143 years ago. 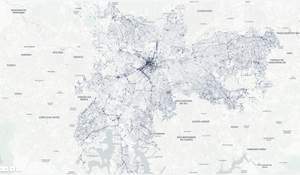 The data story allows the public to undertand how this type of crime migrate to poor areas, how the local dinamics of crime affects the macro dinamics in the biggest city of the country. And how it occours by difference in time of the day. 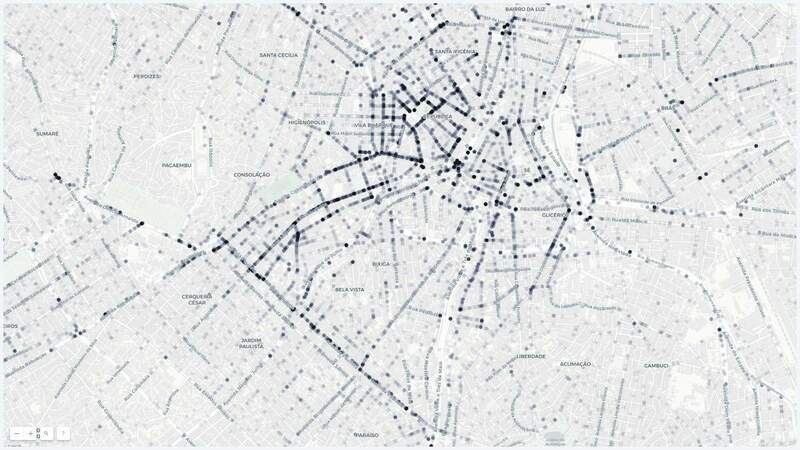 The conclusion is that all inhabitants of the city are at risk to have their cellphone taken by a thief, but there are some places at some hours that it may happen most. In the local level, show all the robberys in that darker corner near your home.